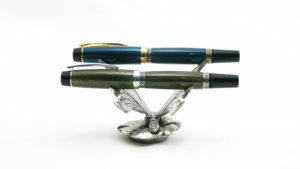 Winning a Contest: Thanks Fahrney’s Pens! I wrote a letter, sealed it up, sent it off, and forgot about it completely. My entry was picked at random, and was in no way a result of either the content of the letter or the quality of my handwriting (as is obvious below). However, I’m pretty stoked. 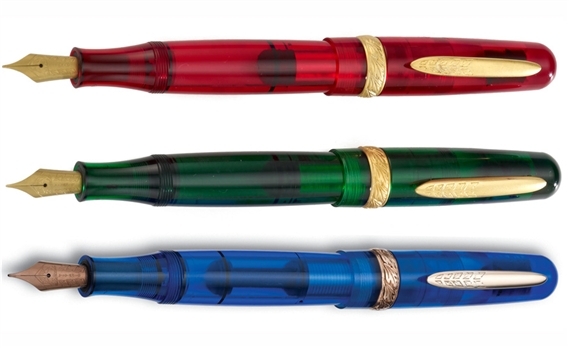 The prize is a Stipula Etruria Rainbow Limited Edition in Green with a 14k Nib. 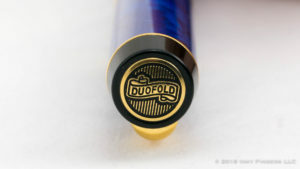 This will be my first Stipula pen, but I do generally like my Italians, so I’m holding out hope for this one. Plus it’s a Piston-Filler, and I have precious few of those in my collection. 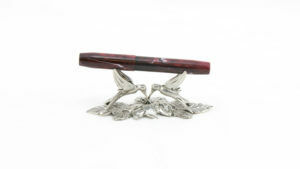 I want to offer a HUGE thank you to Fahrney’s Pens. Waking up to a surprise like that is enough to make anyone’s day. And once I have the pen, and have had a chance to use it for a couple of weeks, I’ll post a video review for it as well, so stay tuned! At the age of 35, I am stuck between two generations: The ‘X’ and the ‘Y’. I was among the first to have access to a computer in school, and among the last of those for whom a computer was optional. Despite this, I dove into the digital world with both feet, as soon as I was able. I spent all my free time in front of the blue-hazed glow of a cathode ray tube. I spent every penny on the latest electron-powered gadget and gizmo. 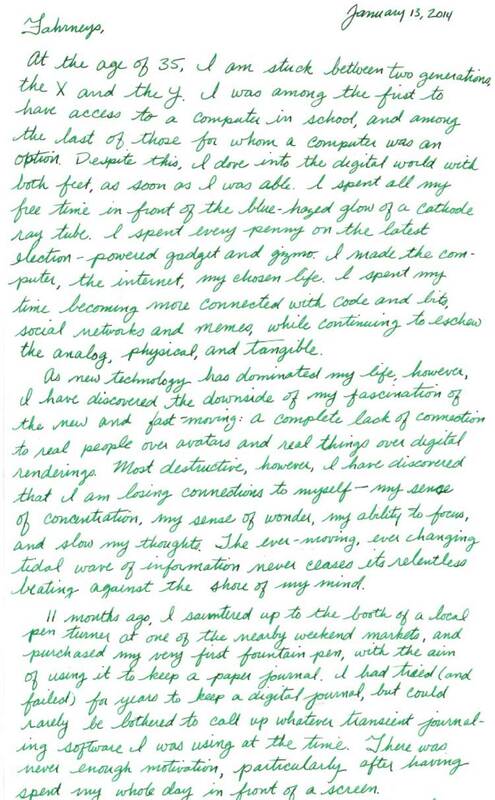 I made the computer–the internet–my chosen life. I spent my time becoming more connected with code and bits, social networks and memes, while continuing to eschew the analog, physical, and tangible. As new technology has dominated my life, however, I have discovered the downside of my fascination of the new and fast-moving: a complete lack of connection to real people over avatars and real things over digital renderings. Most destructive, however, I have discovered that I am losing connections to myself—my sense of concentration, my sense of wonder, my ability to focus, and slow my thoughts. The ever-moving, ever-changing tidal wave of information never ceases its relentless beating against the shore of my mind. 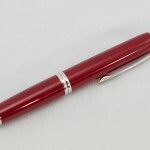 11 months ago, I sauntered up to the booth of a local pen turner at one of the nearby weekend markets, and purchased my very first fountain pen with the aim of using it to keep a paper journal. I had tried (and failed) for years to keep a digital journal, but could rarely be bothered to call up whatever transient journaling software I was using at the time. There was never enough motivation–particularly after having spent my whole day in front of a screen. As I sat down to write those first few days, I had a startling epiphany. The “slowness” of handwriting I had always despised in my earlier years had become a markedly beneficial thing. The 20-30 minutes I spent each night before bed, putting an ever-growing collection of pens to paper, slowed my mind down, focused my thoughts, and physically relaxed me in ways I had never imagined. I was sleeping more soundly at night, which resulted in arising more rested, and feeling happier and more peaceful during the day. And, as I continued my own journey in pen and ink, I discovered that I was forming or re-forming real connections with real people in ways that Facebook could never fully facilitate. I began writing a weekly letter to my 90-year-old grandmother, who is hard of hearing. I reconnected with old friends from high school and college. And I even struck up friendships with new pen pals from all walks of life. That is why I use a fountain pen. 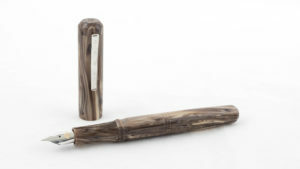 Despite all of the myriad, and incredible, methods of communication at my disposal every day, none of them feels as real, as intentional, or as intimate as the feel of a warm resin in your hand as you drag an iridium tip across the smooth surface of high-quality paper, depositing a microscopic layer of color behind. The easy communication of the digital age requires no fee for passage, no sacrifice for admittance, and therefore provides very little value. 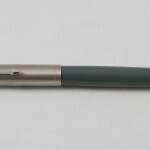 Perhaps my rhapsodic musings do not reflect the reason that all fountain pen users pick up their pens, but I do believe that the fountain pen is the method of writing that most connects us to ourselves, our writing, and our past. I am still in love with technology. I still live in front of screens, both large and small. I use my technical knowledge every day to support myself. But every day, for at least 15 minutes, I put pen to paper and block the whir of hard drives and computer fans out. Because that time with pen, ink, and though, is what truly reconnects me to the world and to myself.